Amanda Fuller - Bio, Weight Gain, Body Measurements, Husband, Is She Pregnant? Home Actors & Actresses Amanda Fuller – Bio, Weight Gain, Body Measurements, Husband, Is She Pregnant? 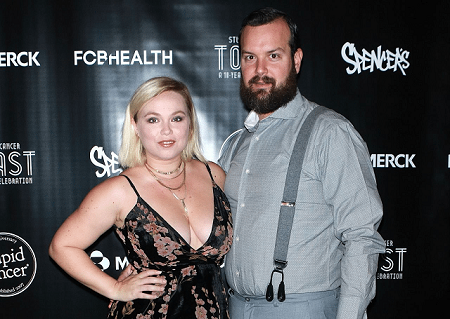 Amanda Fuller – Bio, Weight Gain, Body Measurements, Husband, Is She Pregnant? Celebrities top the news at various times and for various purposes. More often than not, the ongoings in their lives pique our interest when they are reported to have done or are doing things that outside the celebrity circle might draw negligible attention. One of such celebrities who our searchlight is beaming on here is Amanda Fuller. The actress has left her fans with a couple of questions begging for answers as it pertains to her recent report about weight gain and a rumored secret marriage. This article tells more about her and also contains full detailed information about the truth behind these rumors. But before we dive into her story, we would give a brief detail of her person to those who are not familiar with the actress, Amanda Fuller is an American television and film actress best known for playing Kristin Baxter on FOX’s Last Man Standing. She started out as a model, charted her way into acting and is currently making waves starring on various television series with high approval ratings. Born as Amanda Marie Fuller on the 27th of August, 1984 in Sacramento California, Marie is one of two siblings born to her parents. She shares a close bond with her older brother, Jeff Fuller but has avoided mentioning details of her parents to the public. The actress is an American and belongs to White ethnicity. As a child, Amanda Fuller craved to be a model and in tandem with this, at the age of 3, she was the brand face for her parent’s furniture adverts. In a bid to groom her skills properly, her parents enrolled her at the Ron Cisneros’s Cisneros Studio of Dance where she received both acting and dancing classes. Marie also attended Notre Dame High School in Sherman Oaks, California and graduated in 2002. Having gathered a few acting experiences behind the scene, she landed her first Television mini-series; Tales of the City after which she played as Brittany in the movie; The Making of a Hollywood Madam. Subsequently, the budding actress played as Crystal Action in Deadly Whispers but prior to her roles in most of these series, Amanda Fuller in 1996, played the role of Gabrielle in Frankenstein: Through the Eyes of the Monster; a video game project. In the 1997 American romantic comedy film; Til There Was You, Amanda Fuller played as a thirteen-year-old Debbie and was later replaced with Jennifer Aniston who played as the grown-up Debbie. Acting as Emma Crawshay in 2001, America drama film; Askari, Amanda wowed a lot of her audience with her outstanding performance. Despite all the minor and major roles she got, Amanda gained more prominence in 2012 after she starred as Dr. Morgan Peterson in the Season 8 of Grey’s Anatomy. She was a recurring guest on the show until her character was cut off. The actress also gained fame after she featured in the movie; Red, White and Blue’ and ‘Creature. Among every other role she featured in, Fuller also made remarkable performance in a lot more television series than in lengthy films. Her Television credits include The Last Man Standing, Life, Threshold, Bones, Independent Loss, Law & Order: Special Victim’s Unit, CSI: Crime Scene Investigation, NCIS and so many more. When it comes to love, Amanda has had her share of ordeals. She is yet to be married but is currently in a relationship with Mathew Bryan Feld. Details of how and when they met are nowhere near records but we know that they both look perfect together. Recently, it was rumored that Amanda secretly got engaged to Mathew and the two have even gone ahead to exchange their marital vows in secret. AnswersAfrica is yet to confirm this tale, however, we would keep tabs on her and of course, you wouldn’t be left out of the gist. A few others have linked Amanda’s weight gain to her being pregnant, howbeit, this may likely be true. According to MediaMass which confirmed the rumors saying that a very close source relayed the information of the actress’ pregnancy but on the other hand, Amanda Fuller has never declined or approved the pregnancy hoax. Until we hear from the horse’s mouth, we beg to conclude that Amanda is not pregnant. See Also: Miranda Hart Biography, Husband, Age, Height, Weight Loss, Is She Married? On most occasions, actor’s and actresses body physique is one of the criteria considered in dishing out roles. Most celebrated stars often fluctuate with their body sizes in other to fit perfectly in these roles. Also, some may go an extra mile with dying their hair and adding a lot of other costumes to spice up their character. For Amanda Fuller, her recent look in the television show; Last Man Standing has evidently proven that the actress gained a lot of weight and looks quite fuller. A lot have questioned on if her weight gain is related to her role on the drama series or if there may be other reasons behind her new looks. Well, to the best of our knowledge, her current body size has not hindered her from being the queen bee in most of her movie roles. Having started from being a model, it is no surprise that Amanda Fuller is a gorgeous woman. Until her weight gain, she had an hourglass-shaped body and measures 37-25-36 inches for her bust, hips and waist sizes respectively. Also, she weighed 59 Kg and stood at 5 feet 5 inches. As a result of her weight gain, her current body measurements are not readily available.